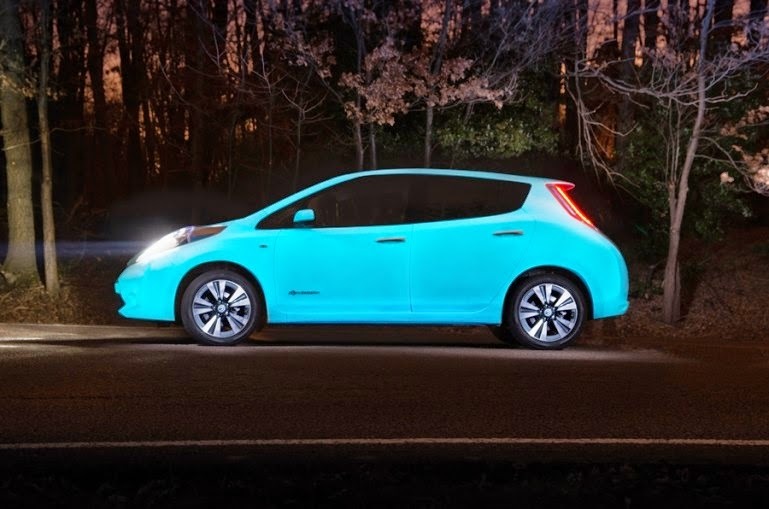 Home / cars / electric / featured / Leaf / nissan / Nissan Leaf | Ready, Set, Glow ! 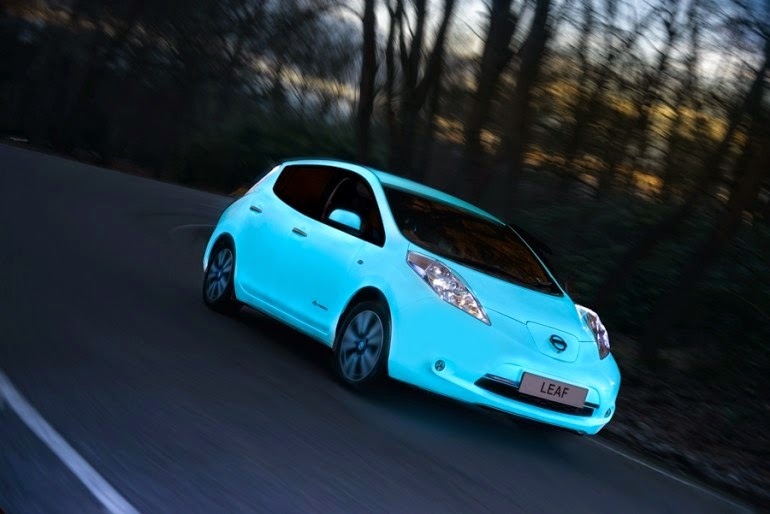 Nissan Leaf | Ready, Set, Glow ! Like a Matchbox car comes to life Nissan’s leaf, the polar bear friendly electric car just got better. The car has been given a paint job that appears normal in the light, but glows green in the dark. The glow-in-the-dark paint is said to be made up of entirely organic materials. According to Nissan, drivers of the all-electric Leaf are increasingly installing solar panels at home and charging their cars for free. The glow-in-the-dark Leaf is aimed at drawing attention to this. 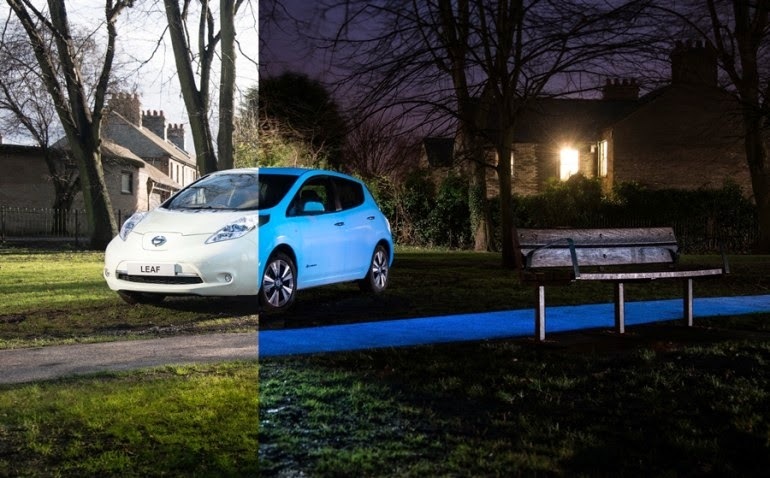 EV pioneer Nissan is first manufacturer to partner with similarly innovative inventor to create paint that uses UV energy absorbed during daylight to glow at night. The manufacturer worked with inventor, Hamish Scott, creator of STARPATH, which is a spray-applied coating that absorbs UV energy during the day so that it glows for between eight and 10 hours when the sun goes down. Imagine what glow-in-the-dark cars could do for reducing traffic accidents? It’d be a lot easier to see a broken down car on the side of the road, or help rescuers find a car that’s gone off the road. 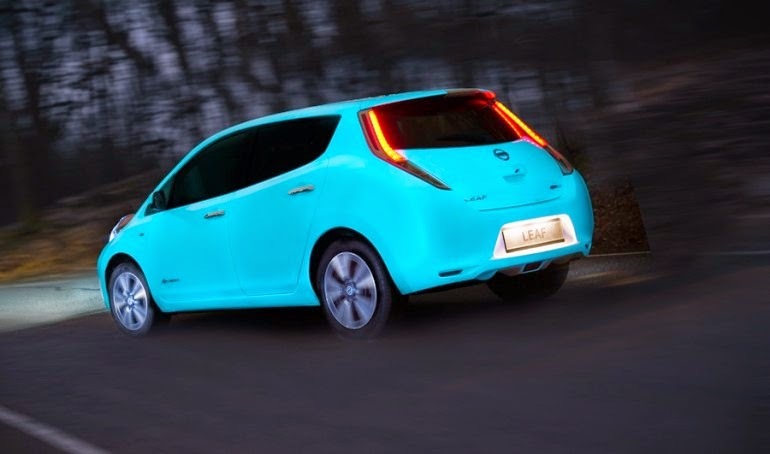 For now, Nissan says the glow-in-the-dark paint is just a pilot project, probably because it’s crazy expensive (even if its eco-friendly), though it could last for up to 25 years if put into production. Running the Nissan LEAF costs a sixth of the amount we'd pay to run a diesel or petrol car, says one of the leaf owners. The secret formula apparently uses organic materials and an ingredient called Strontium Aluminate. A glowy Leaf certainly sounds like it'll go well with glow-in-the-dark roads; not to mention, it looks a lot tougher to steal. But, all is not so well since Nissan is still debating on it’s production.